Are You In Compliance – Probably Not! Time for a mid-year review? Federal and state labor laws have gone through many changes over the last year that are and will continue to impact workplace policies and procedures throughout the coming months and years. It’s critical for employers to make sure they are on top of the latest workplace laws and regulations in order to avoid costly fines or even litigation. A mid-year review is a great way to ensure that your company is compliant with all of the latest laws and regulations. Here are 5 areas that would benefit from a mid-year review. 1. Confirm that all labor law posters that are required under federal and state law are posted where employees can easily see them. All employers must meet the workplace posting obligations. Workplace postings are usually available at no cost from the requiring agency and employers can also purchase them. The Department of Industrial Relations requires employers to post information related to wages, hours and working conditions in an area frequented by employees where it can be easily read during the workday. Labor laws are constantly changing. Every year, hundreds of labor law changes occur, and it's critical to keep up with those changes in order to avoid costly fines. The best way to tell if your posters are up-to-date is to audit your existing posters. In order to perform an audit, you may need to cross-reference the print date on your posters with a list provided by other poster providers. A good practice would be to update your posters every six months, so if your poster was printed prior to January 1, 2017 you may benefit from ordering a new one. 2. Confirm that all I-9 forms are up to date and complete. Following several years of increasingly strict employment eligibility verification enforcement, the government recently increased fines for future Form I-9 violations, making it more necessary than ever for employers to ensure hiring processes are compliant. When it comes to Form I-9 violations, it is not rare for employer penalties to reach hundreds of thousands of dollars. First offense fines range between $539 and $4,313 per individual. Second offense fines now range from $4,313 to $10,781 per worker. Subsequent offenses can be between $6,469 and $21,563 per employee. The penalties for Form I-9 paperwork violations have increased as well, ranging from $216 to $2,126 per violation. 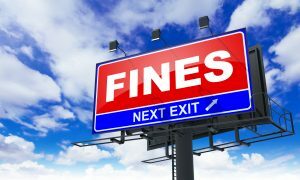 Employers of all sizes are affected, so even small or mid-size employers who are often granted reduced penalties due to their inability to pay will face these growing fines. With increased penalties combined with increased ICE audits, it would be very costly for employers to be non-compliant with their I-9s. To avoid unwanted fines, make sure your Form I-9s contain no errors and all employees are authorized to work in the U.S.
3. Review employment applications, HR related forms, and payroll paperwork for compliance with any applicable state laws. 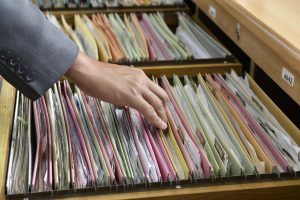 As with I-9 violations, employee paperwork error can be costly. Wage and hour lawsuits are increasingly common these days, and with the current Minimum-Wage changes it’s important to stay on top of all new-hire and current employee paperwork to make sure that you are complying with the most current laws. 4. Ensure employee training is up to date. Training varies by company and may include general skills such as literacy, technical skills, and orientation about the organization, as well as programs designed to prevent lawsuits, audits, and fines, such as sexual harassment training, safety training, and ethics training. Federal law requires training on specific health and safety-related topics, sexual harassment training, and discrimination. Ensure all employees have been trained to completion when hired, and recently updated on these important topics. 5. Update your employee handbook. Federal and state legal developments over the last year have brought a lot of changes that impact workplace policies and procedures. Right now is an ideal time for employers to review their handbooks for compliance. Workplace rules and regulations may continue to change under the current administration, but employers should make sure their handbooks are as up to date under current laws as they can be. NLRB Decisions: Review social media policies, keeping in mind the board's decision last August that found that Chipotle's social media policy prohibiting employees from "posting incomplete, confidential or inaccurate information" violated the National Labor Relations Act (NLRA). Additionally, examine and possibly rewrite any policies that simply tell employees they need to act professionally and in a positive manner or be nice to customers. Lastly, review policies about recording in the workplace, media inquiries, reference checks and policies that prohibit disparagement of the employer. Reporting Violations: Make sure your handbook doesn’t discourage employees from reporting potential legal violations to government agencies. Several agencies, including the Occupational Safety and Health Administration, the Equal Employment Opportunity Commission, and the Securities and Exchange Commission have targeted any policy or agreement that may be interpreted to curb an employee's right to go to these agencies—or other agencies—to report violations of the law. It is suggested that employers add language to address this in their handbook. Background Checks: Take a look at background check procedures to make sure they align with local laws. Many cities now have laws that prohibit asking criminal background questions in the initial application. These laws are constantly being added across the country to prohibit criminal background questions before any conditional employment offer has been made. Drug Testing Rules: The legalization of marijuana in many states has added to the confusion of drug testing rules for employers with employees in multiple states. Currently there is no legislation against drug-testing policies in states where marijuana is legal, but it is important to stay on top of any news in the matter. Paid-Sick-Leave Laws: The number of paid-sick-leave laws at the state and local level has been steadily increasing, which makes keeping up with them quite difficult. Ensure you are staying compliant not only with the allotted amount of time offered, but also in the areas of waiting periods, notice and certification requirements. There are so many new laws in a variety of areas, making it important for businesses to spend the time and money to update their policies in real time.